Summer Programs at Berkshire School offer a wide-range of academic, artistic, and athletic camps and programs for youth ages 8 to 17. 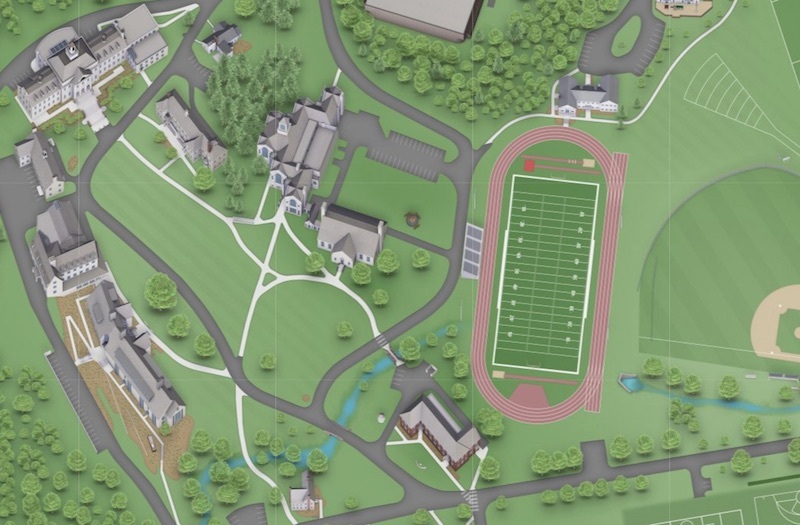 All programs are held on our beautiful 400-acre campus located in Sheffield, Massachusetts. In addition to hosting world-class camps and programs, Berkshire School's renowned faculty develop and teach cutting-edge academic and enrichment courses in Berkshire Summer Sessions. These one-and two-week courses allow students to deeply explore a single topic while working collaboratively. Students also engage with nature through activities derived from Berkshire's Ritt Kellogg Mountain Program (RKMP). Activities includes hiking, mountain biking, ropes courses, and more. Weekly themed science courses including Virus Hunters, Cells Around Us, and Environmental Science & Education for Sustainability. Hands-on sessions allow campers to learn about, build, and explore the latest technology, including drones, robotics, and coding. Explore art through the local environment, or learn how to use the popular Adobe software Photoshop and Illustrator. Participants will learn about character development, scene work, and the fun and reward of building an ensemble of actors; all culminating in a final performance of the work. Three-time world squash champion Nick Matthew and his teaching staff will deliver unparalleled squash instruction and one-on-one guidance to players aged 10-17. Campers will also have the opportunity to enjoy a range of other fun activities, promoting character, discipline and teamwork. In addition to our camps led by Berkshire School faculty, we host a range of camps and programs throughout the summer. Berkshire School is a co-ed boarding and day school for students in grades 9-12 and post-graduates. The 400-acre campus is located at the base of Mount Everett (2,624 ft.) in Sheffield, Massachusetts, in the heart of the Berkshire Hills, a popular tourist destination for world-renowned arts and culture, health and wellness retreats and spectacular nature, including the Appalachian Trail, which is a short hike from campus.